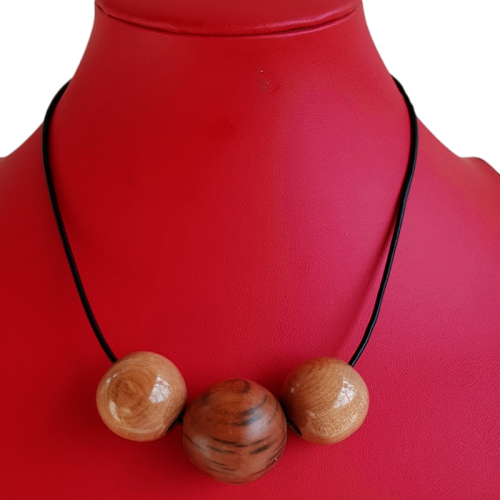 Hand turned wooden beads crafted from tasmanian Myrtle. The Centre bead has a striped effect in the grain from the rarer Tiger Myrtle. Centre bead measures approximately 8cm in circumference (4cm across front. Clasp at back on leather string approximately 45cm long.